Any information provided in this website is general information only, and should not be relied on for filing any bankruptcy or pleadings. Anyone considering filing bankruptcy or seeking advise on bankruptcy should consult a qualified attorney for recommendations for their specific situation. The Bankruptcy Laws are a set of federal laws permitting individuals, married couples, and businesses to eliminate some debts or reorganize their finances to get a fresh start in their financial life. Cases filed after October 17 2005 must meet the requirements of the Bankruptcy Abuse Prevention and Consumer Protection Act of 2005 (BAPCPA). While this law sets a number of new requirements, most clients will still be able to file bankruptcy even after the act. Within 6 months prior to filing bankruptcy, if possible, the client should see one of the credit counseling agencies approved by the US Trustee for their area. A link to this list is here. Note that for residents of the Tampa, Orlando, Jacksonville, Sarasota, and Gainesville area the applicable district on the list is for the Middle District of Florida. These credit counseling agencies must charge no more than a reasonable fee, and must provide services without regard to ability to pay the fee. They must tell their clients how the credit counseling agency is funded, what qualifications the counselors have, possible impact of their advice on credit reports, any costs to be paid by the client, and how such costs will be paid. They must analyze the client's current financial condition, and attempt to develop a plan to respond to the problems without incurring negative amortization of debt (ie without debt increasing). The credit counseling agency should give the client a certificate that they completed the counseling and describing the services provided by the counseling agency, and a copy of the debt repayment plan, if any; this should include a statement showing what offers were made to each creditor and whether the creditor accepted the offer. If a creditor rejects an credit counseling agency's offer of repayment of 60% of the debt over a period not longer than the original repayment schedule of the loan the court may reduce the creditor's claim in the bankruptcy case. 1) That you know how long the payments will continue before the plan is completed and all creditors are paid. 2) That you know what will show on the credit report during the time you are making payments on the repayment plan. 3) You should check the credit report periodically during the repayment plan to insure that the creditors are showing you are current (so long as you are current to the repayment plan); and that the balance is going down on each creditor. The client should attempt to obtain the following information for the initial appointment with the attorney, which counsel will require to determine what type of bankruptcy to file, and what payments, if any, will be required to creditors. 1). Bills and other statements from creditors and collection agents for the last 3 months. 2). Income records for the last 6 months (or some way to determine the average income for the last six months). 3). If the client had moved within the last 1215 (3 1/3 years), the client should show where they were living during that time and the date they moved for each time the moved. A copy of the last 4 years of tax returns may assist in showing this. 4). If the client had purchased their homestead within the last 10 years, or in the last 10 years either paid more than the regular monthly mortgage payment, or put other money into the home, then the client should be able to show where that money came from and the date of such actions. 5). As is the case under prior law, the client should bring in copies of any lawsuit documents and copies of current bills as well as a list of creditors and amounts owed. 6). A copy of the most recent tax return filed by the client. 7). Photos of the rooms in the home showing furniture in the house. 8.) Copies of any car loan papers and the payment terms on any mortgage or lease. 9.) Some document showing the annual property taxes and insurance on the home, if you own a home. New Client Information Sheet and Budget Question Form. This is the most common type of bankruptcy, and is often suitable if the main problem is credit card or medical debts. In Florida individuals are usually limited to keeping $1,000 of personal property as well as $1,000 in equity in a motor vehicle. Under a statute taking effect 1 July 2007, if the individual filing does not claim a homestead exemption, the $1,000 exemption for personal property is increased to $5,000. This bankruptcy will usually not eliminate debts to the IRS (though it might if the taxes are more than three years old), and will usually not reinstate mortgages that are not current when the case is filed. If you have a new model car that is paid off or has substantial equity, the chapter 7 may not work for you. It usually eliminates credit card debts (though you should not have any recent charges when you file the case) and medical bills. BAPCPA Changes: Under the new law we will need to compare your income to the median income of your family size for Florida, and if you are over the median income to a more complicated financial analysis to determine whether you can file chapter 7 or will be forced to file chapter 13. Income will usually be presumed to be the average of your monthly income for the last 6 months, even if you are making less when you file the bankruptcy case. The debtor cannot get a discharge in a chapter 7 if they received a discharge in a prior chapter 7 or chapter 11 case within the prior 8 years; or if they received a discharge in a prior chapter 12 or chapter 13 case in the prior 6 years (unless in the chapter 12 or 13 the plan repaid all creditors in full or paid 70% of the claims and the plan met good faith and best effort standards). 1) Copies of payroll stubs or other evidence of monies paid by an employer in the last 60 days. 2) Records of any interest of the debtor in an educational IRA or state tuition program. 3) A certificate from their consultation with an approved credit counseling agency, and a copy of any repayment plan prepared by such agency. 4) (within 45 days after the initial meeting in the bankruptcy case) a certificate from their consultation with a personal financial management course. 1) a copy of the most recent tax return that was filed by the debtor. 2) Proof of social security number (must be prepared by 3rd party: social security card, W-2 or 1099 statement, etc. The tax return itself will not qualify). 3) A copy of the most recent paystub or document showing most recent amount paid by their employer. 4) Statements for each bank account, investment account, money market, mutual fund or brokerage account for the time period including the date the bankruptcy was filed. 5) Proof of the monthly expenses shown on the budget (to the extent such expenses can be proven: ie mortgage and car bill statements; utility bills, homeowner or condo fee statements, prescriptions and copies of bills for medicines and doctor visits, etc). Additional information on Chapter 7 Bankruptcy can be found here. This is usually the case to file if you are substantially behind on recent taxes or if the IRS has a tax lien on substantial property. If there is a foreclosure on your home, but you can afford the regular mortgage payment plus something to catch up the back payments, this type of case will often enable you to keep the house so long as you file before any foreclosure sale. If there is a balloon payment on the mortgage coming due soon, (a large lump sum payment due under the original terms of the mortgage), you need to discuss that with the attorney as special provisions usually have to be made regarding that. This bankruptcy may also save you money if you owe much more on your car or truck than it is worth, or if you have a very high interest rate. If you run your own business, this will usually allow you to keep the business, and keep running it while reorganizing the debts. Often, credit cards and medical bills, as well as other debts that do not have any liens on property, are repaid at 20% of the balance due when the case is filed. Payments continue for 3-5 years. Corporations cannot file chapter 13, but unincorporated businesses usually can (depending on the amount of total debt). BAPCPA Changes: Debtor will usually not be able to reduce the debt on any vehicles purchased within 910 days prior to the bankruptcy, or on other liens on items purchased within one year of the bankruptcy, unless the items are returned to the creditor. Debtors will be required to provide tax returns due within the 4 years prior to filing bankruptcy before the meeting of creditors (approximately 30 days after the case is filed). The case will be dismissed if debtors get behind on alimony or child support payments after the case is filed. If the debtor makes more than the median income for their size family in Florida, the repayment plan will be required to extend five years. The plan may end in 3 years if the debtor makes less than the median income. A Chapter 13 cannot be discharged if the debtor received a discharge in a prior Chapter 7, 11, or 12 case within the prior 4 years or in a prior chapter 13 case within the prior 2 years. The debtor should obtain the same information as described in chapter 7 above. Additional information on Chapter 13 bankruptcy can be found here. This is similar to Chapter 13 but designed for family farmers or ranchers. It allows some more flexibility for those who do not have monthly income, but just get lump sum income once or twice a year. It also provides more flexibility for mortgages or other debts that include a balloon provision (requiring the entire balance to be paid off in a lump sum amount). This is the reorganization bankruptcy for corporations. This type of bankruptcy is much more complicated, and expensive than the others. Given an appropriate situation, we may handle this type of case, or may refer you to another attorney. At the new client appointment Mr. Barnett will take about 30-90 minutes discussing your financial situation and making recommendations to proceed. If he recommends filing bankruptcy, there would be a $100 fee to retain the firm to file bankruptcy on your behalf, though no fee is required at the initial consultation. Once this is paid you can refer most creditors (but not creditors secured by a lien on your car) to our office which will often reduce the number of calls from the creditors and often delays the filing of any lawsuits against you by credit card companies. The contract allows you up to three months to bring the balance of the funds back, unless there is pending litigation or other factors that require filing in less than 3 months. When the paperwork is returned, the balance of the attorneys fees would need to be paid in cash, as well as a separate money order for the court filing fee. It usually takes us about a week to type up the bankruptcy documents, after which you will need to come in to sign the forms. Chapter 13 cases are usually filed the day after they are signed. Chapter 7 cases are usually filed within a week of when they are signed. There will then be a meeting of creditors at the federal building near the Federal Courthouse. The Debtor (both spouses if the case is filed jointly) is required to attend this meeting. This meeting will be about 30 days after the case is filed, and is held by a Trustee. The Trustee is an attorney or accountant appointed by the government to oversee and review the bankruptcy. Mr. Barnett will also represent you at this meeting. On rare occasions Mr. Barnett may request another attorney to attend on his behalf if he has to be somewhere else at the time of the meeting. If this is the case, the client will be notified prior to the meeting, and will incur no additional fee. The trustee will ask the same type of questions Mr. Barnett asked at the initial appointment, but the trustee usually only has about five minutes. The trustee has the right to send an appraiser to your house to determine the value of your property. Prior to the meeting we will need to send the trustee copies of the last 2 years tax returns; and you will usually need proof of your income for the last six calendar months at the meeting. The trustee also can request that additional information be sent to them after the meeting of creditors. Sometimes a representative of the Office of the U.S. Trustee will attend the meeting of creditors and ask questions. This is usually when the U.S. Trustee has some indication that a chapter 7 case should have been filed as a chapter 13, or if there is a question about the Debtors identity, accuracy of the name or social security number, or other information filed. The Chapter 7 trustee has 30 days from termination of the meeting of creditors to object to the list of property the debtor is claiming the right to retain in the bankruptcy. Other creditors usually have 90 days from the meeting of creditors to file a suit in the bankruptcy alleging that their particular debt should not be eliminated by the bankruptcy, or to allege that the bankruptcy itself should be denied. If no such objections or suits are filed, the discharge would normally be entered slightly over three months after the meeting of creditors. 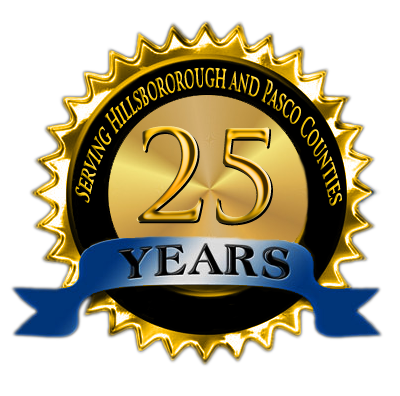 Michael Barnett has provided his services in and around Tampa, Florida covering Hillsborough, Pasco and Polk County for over 20 years. 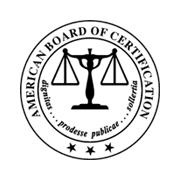 The BBB has determined that this business meets accreditation standards.